The intimate-apparel chain badly missed expectations for June sales, prompting the loss of some $2 bln from its parent company’s market value. Disappearing shoppers is all too common a refrain these days, and far beyond L Brands. There’s no excuse for being sanguine about retail. A customer passes by an L Brands Inc., Victoria's Secret retail store in Manhattan, New York, U.S., May 13, 2016. L Brands, the owner of Victoria's Secret and Bath & Body Works, said on July 6 that same-store sales in June fell 9 percent compared to expectations by analysts of a 7 percent decline. 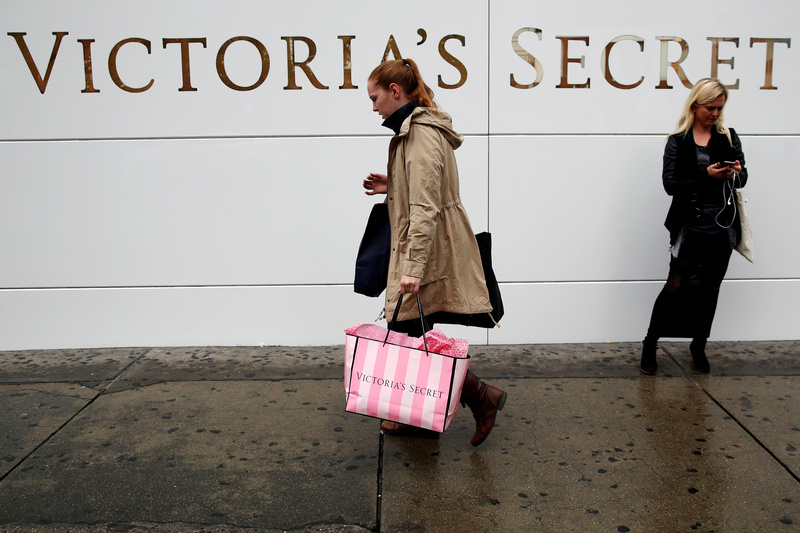 Same-store sales for Victoria's Secret fell 17 percent, worse than the 11.9 percent decline that was anticipated. The company's shares tumbled about 14 percent, to $46.42 apiece, in afternoon trading.